This was for a contest for artwork for the Kingdom of Loathing calendar. 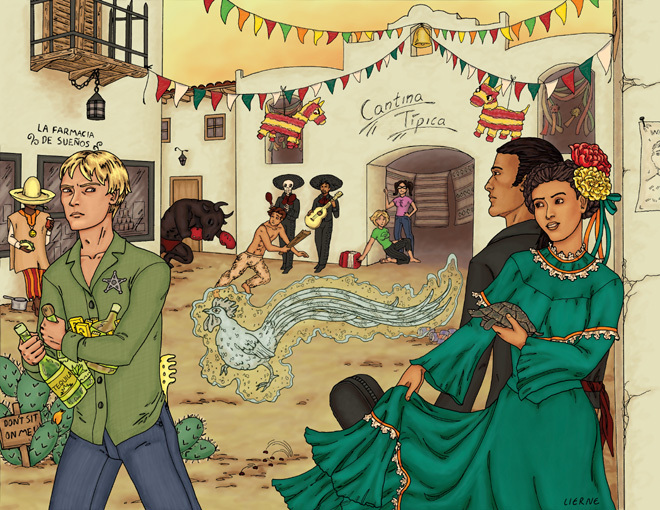 I was assigned the month of May and so I drew the Border Town location in honor of Cinco De Mayo. I won!